The following terms and conditions apply to students enrolling on the Practitioner Diploma in Hypnotherapy course. In order to guarantee a place on the course, prospective students must enrol prior to the deadline date provided in the course schedule. Late enrolments may not be accepted and we cannot guarantee that spaces will be available for students in such circumstances. By enrolling on the course, students confirm that they fulfil all of the training eligibility requirements. 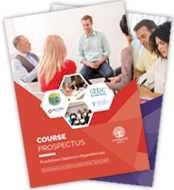 Students confirm upon enrolment that they meet the eligibility criteria detailed in the course prospectus and agree to inform Hypnotic World of any changes in their circumstances which may affect their eligibility to take part in the course training or practise hypnotherapy. Any applicable course fees should be paid to Hypnotic World by the due date provided in accordance with the payment plan agreed during enrolment. Missed or late payments may lead to students’ eligibility to partake in the course being revoked. If students have any questions about course fees, they should contact Hypnotic World at the earliest opportunity to discuss their payment plan. A full refund will be provided to students notifying Hypnotic World of their request to cancel enrolment at least 28 days prior to course commencement date. Due to the costs associated with hosting hypnotherapy courses, no refunds can be provided for classes already attended or for the non-attendance of classes. We hope that the course meets and exceeds your hypnotherapy training expectations and will endeavour to address any questions or concerns students have regarding our services. If students are dissatisfied with the course post-commencement and wish to discontinue their training with Hypnotic World, a partial refund may be provided to cover upcoming classes that the student has not attended. Students are expected to maintain a full attendance record whilst taking the course and to arrive punctually to each training classes. If you are unable to attend a class, please contact Hypnotic World as soon as possible to discuss your needs. 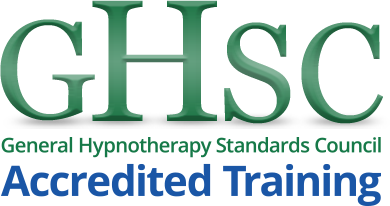 Students are expected to conduct themselves in a way that is conducive to learning hypnotherapy and respectful towards the course tutor(s) and fellow students training with Hypnotic World. Students who are disruptive or behaving in a manner which undermines the learning process may be asked to leave the course. If students have concerns about the behaviour of peers whilst enrolled on the course, they are requested to contact Hypnotic World so that any issues may be addressed. Students may cancel their enrolment on the course prior to the commencement date if they provide at least 28 days’ written notice to Hypnotic World. If enrolment is cancelled on or after the course enrolment date, students agree to make course payment(s) in full. No refund will be provided to students cancelling post-commencement unless agreed in writing by Hypnotic World. 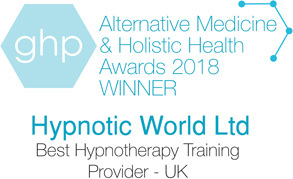 In the unlikely event that a course is cancelled by the course provider, a refund will be provided to students and we will endeavour to find a suitable place for each attendee on a replacement training course provided by Hypnotic World. If, for any reason, a class is cancelled or rescheduled by Hypnotic World or the course tutor(s), arrangements will be made with students to find a replacement date which is agreeable to all parties. Students unable to accept a rescheduled date may request a refund for the cancelled class. If you have any questions not covered by the Course Terms and Conditions above, please contact our Support Team on (01302) 786977 or email us at support@hypnoticworld.com.